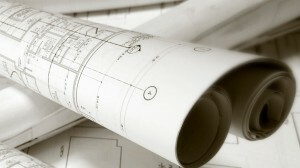 What does a Set of Stock House Plans Include? A Coversheet – Usually the coversheet is an artist’s rendering of the finished home. It serves as a visual aid that represents the finished home. Generally, this page is not necessary for construction of the home, and some designers do not include a coversheet with their designs. 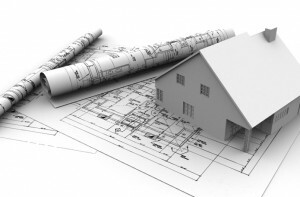 Foundation Plan – The foundation plan is a detailed drawing of the foundation of the home. It provides necessary information about the foundation like the dimensions, location of support columns, thickness of the foundation walls, and floor joist sizes and spacing as well as other details and construction notes. Floor Plans – The floor plan page reflect the layout of the house and the arrangement of the rooms on each floor of the home. This page typically provides construction details such as room dimensions, wall sizes, door and window sizes and locations, notes about ceiling design and other details about layout and structural elements. Two-story homes and those with finished lower levels may have separate floor plan pages for each level of the home, or they may be found on the same page of the blueprint. Exterior Elevations – The exterior elevation page(s) provides views of all four sides of the home. These elevations reflect the exterior finish and trim of the home. They call out the materials used to finish the outside of the house such as siding, stucco, brick, stone, etc., and the elevations note the placement of these materials on the exterior of the home as well. Also, the exterior elevations will specify roofing materials and typically indicates roof pitches, which you can manage and check with roof repair company in Elfers, the best roofing professionals. Finally, the elevation page(s) will depict or call out decorative elements such as window shutters and porch columns. Sometimes window and door sizes are shown on this page as well. Interior Elevations – The interior elevations offer drawings and descriptive details specific to some of the built-in elements of the home such as handrails, moldings, fireplaces, built-in desks and bookshelves. Some interior elevations will include a cabinet layout as well. Simple Plumbing – The simple plumbing can either be found on the floor plan or on a separate page in the construction drawings. The simple plumbing will only reflect the locations of bathtubs, showers, toilets and sinks. Basic Electric – The basic electrical information will either be found on its own separate page or on the actual floor plan. 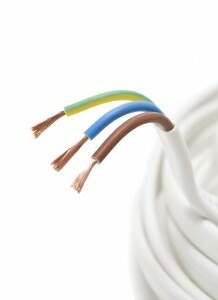 It will simply reflect the suggested locations of outlets, fixtures and switches. 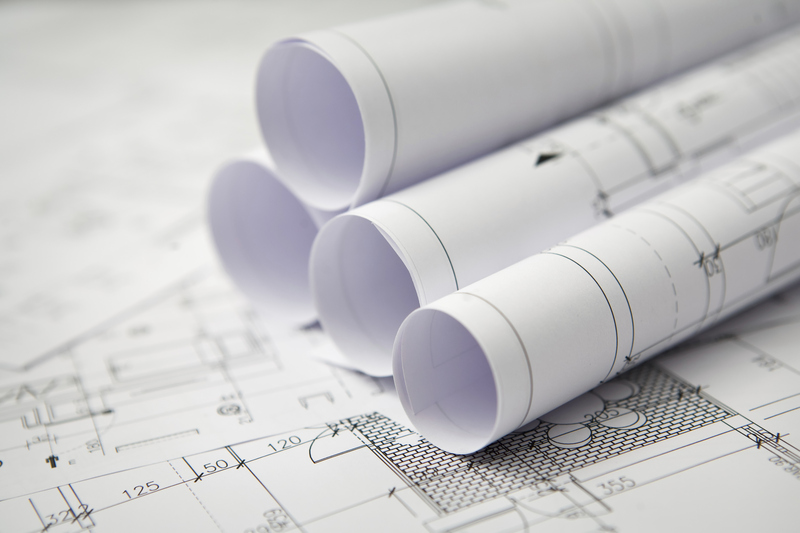 Sections – The sections of a home plan may be found on a separate page in the blueprints or they may be found on various pages throughout the construction drawings. In general, the sections provide a view of the home that shows the composition of the foundation, exterior walls, interior walls, floors, roofs and stair details. The blueprint sections specify the rooflines, ceiling heights and the relationship between the floors of the home. Details – House plan details will either be found on a separate page of the blueprints or on various pages throughout the construction drawings. They provide necessary information about how smaller elements of the home should be constructed. Some examples include the design of the handrail and spindles or the moldings used throughout the home. NOTE: Not all stock house plans include each element described here. The composition of a set of construction drawings varies by designer. Additionally, keep in mind that stock house plans are drawn to meet national building codes and are not guaranteed to meet all local building codes. Every state, province, city, county, municipality, etc., may have its own set of local building codes and requirements. Often, local building codes are influenced by geography and climate, and stock house plans may need to be adjusted to meet these codes. For example, a customer building a stock house plan in California will need to make adjustments to satisfy seismic codes, while a customer building the same house in the Rocky Mountains will need to make adjustments for snow load and insulation requirements. A local design professional will be able to add the necessary details to the blueprints in order to meet local building codes. For more information about what is not included in stock house plans and additional details about local building codes, please review Everything You Need to Know about Stock House Plans in the resource section on our website.